It's a tough job but they all have to be tasted. When I dine out in Japan I enjoy trying out a different sake each time. Sake : [pronounced sa – ke] is a rice-based alcoholic beverage of Japanese origin. It is called sake in English but in Japanese, sake (酒) or o-sake (お酒) refers to all alcoholic drinks in general. The Japanese term for this specific beverage is Nihon-shu (日本酒), meaning “Japanese alcohol”. Sake is also referred to in English as rice wine but unlike wine in which the alcohol is produced by fermenting the sugar naturally present in grapes, sake is made through a brewing process more like that of beer. In Japan sake is served chilled, at room temperature, or heated depending on the preference of the drinker, the quality of the sake and the season. Typically, hot sake is a winter drink and high-grade sake is not used because the flavors and aromas will be lost. Like wine there are many different tastes. 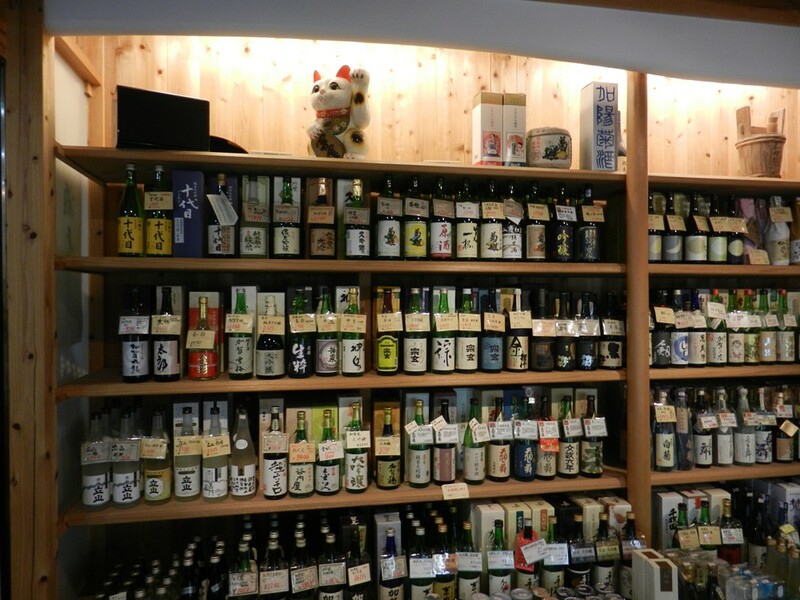 In Hakuba we have our own local sake called Hakubanishki which is available at most establishments. Give it a go and try it hot and cold to see how you like it best and beware the usual alcohol content is 15%. This entry was posted in Food, Hakuba apres and tagged drinking in Japan, 酒, how to drink sake, how to make sake, Sake in japan, 日本酒. Bookmark the permalink.